Comics artist Steve Ditko has sadly passed away. He began work as a comic inker in 1953 alongside Joe Simon and Jack Kirby, and worked for both Marvel Comics and DC Comics before retiring from mainstream comics in 1998. Ditko is best known for being co-creator of Marvel characters Spider-Man and Dr. Strange. 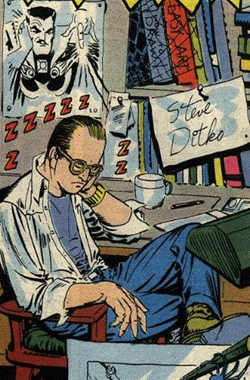 Although his collaborator Stan Lee is more well-known, modern comics would not be what it is without Ditko's influence. He will truly be missed.